Producer, JJ Abrams (who also conceived this story with the screenwriter Billy Ray) is a big fan of mixing genres, as anyone who has seen the Cloverfield movies will know, and Overlord is no exception, and billed as a “war horror”. War on its own tends to be horrific enough, but here there is an added twist in the tale. Set on the eve of D-Day during World War II, Overlord sees a group of American soldiers parachute in behind enemy lines, in order to destroy a Nazi radio control tower. However, when they gain access to the tower, they realise that far greater horrors lurk within, as they are experimenting on corpses, trying to create an army of super-soldiers, to fulfil the legacy of their promised 1,000 year Reich. In case you’re not familiar with how horror works, experimenting on corpses usually results in zombie-like creatures, and this is no exception. Unfortunately, this film can’t seem to decide if it wants to focus on the war or the horror, and as a result, feels a bit confused at times. They spend a long time setting up the soldier’s mission – so much so that unless you know there’s a horror element, you could be forgiven for thinking it was just another WWII movie. When the ‘horror’ does kick in, it’s predictable, and handled in a clunky fashion. In terms of tone, Overlord reminded me very much of Iron Sky. If you haven’t seen this, it’s a brilliantly bonkers ‘so bad it’s good’ movie, in which the Nazis have been hiding out on the moon for 70 years, before regrouping, and trying to conquer the world again. However, while that movie had its tongue firmly in its cheek, Overlord wears its B-movie credentials with pride, and takes itself very seriously. The actors all throw themselves into it, despite being written as stereotypes, with Asbæk in particular going full-on panto villain as an evil Nazi (well, more evil than the usual Nazi – you know what I mean) and Russell channelling his inner John Wayne meets Rambo. Even the token female, Ollivier gamely plays along, despite her character being clichéd. And, make no mistake, she is token. She stands out more than Donald Trump at a feminist rally, and even using her to move the plot along at points doesn’t detract from this fact. There are some brilliantly gory scenes that should satiate people who like their horror bloody. And some extremely brutal fight-scenes, for those who are that way inclined. And, at times, Overlord is clever. But as a big-screen offering, it isn’t a thrill-fest, and there aren’t enough scares to make you jump out of your seat. 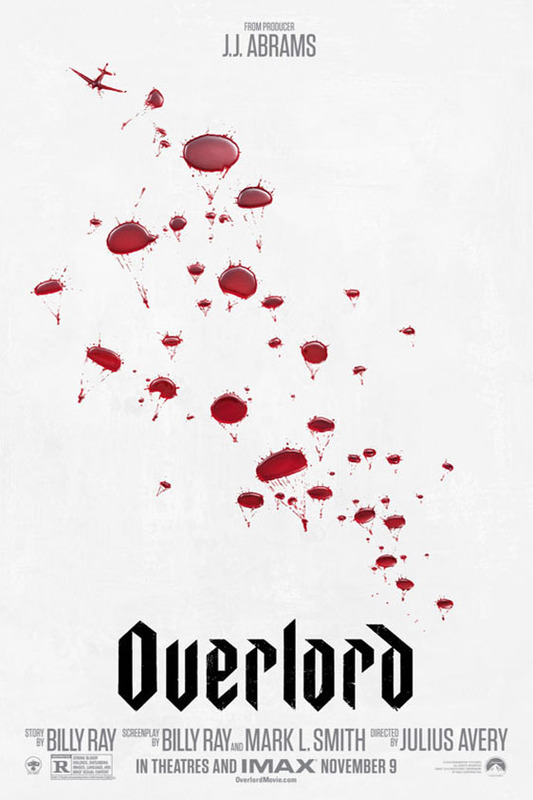 If Overlord was on Netflix, it would make perfect rainy Sunday afternoon fare. And it is entertaining enough. But it doesn’t quite live up to its potential or promise. Not a must-see, but satisfying enough if you just want some unchallenging escapism.